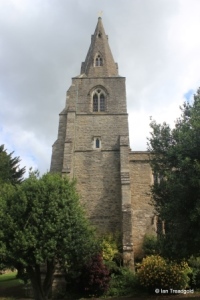 The church of St Peter’s in Pavenham is situated to the north of the village on the road to Felmersham. Parking outside the church is difficult on narrow verges. 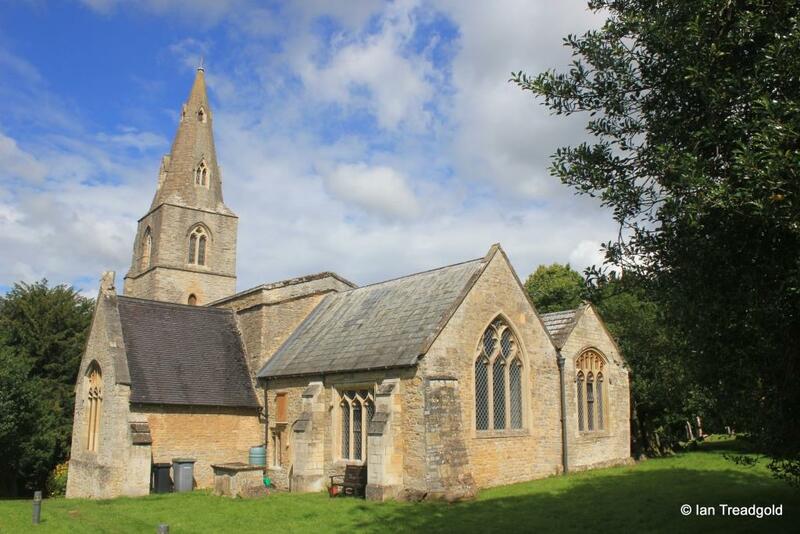 The church is high above the road and built on a distinctly sloping site reflected within the fabric of the building. It consists of a chancel and nave with a north aisle and chapel, south transept and porch, and west tower topped with an 8-sided spire. 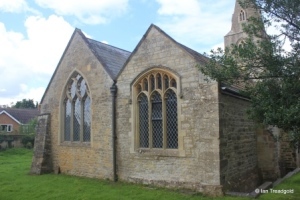 The chancel is around 24 feet long by 15 feet wide with the nave adding some 45 feet within the same width. The north aisle is around 10 feet wide extending the length of the nave and chancel. The south transept is around 14 feet square and the tower is around 10 feet square and some 86 feet high. 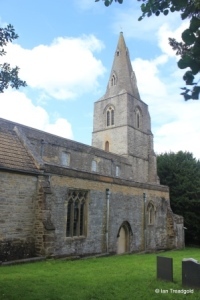 Pavenham church began life as a daughter church to Felmersham and there is evidence of its existence in the early C13. The nave and chancel date from C13 although little remains of this period. The west tower and north chapel were added in C14 with the south transept and north aisle being built in C15. 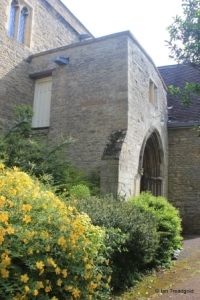 The vestry in the angle between the north aisle and the tower was added in 1848. The south transept, whilst dating from C15 has been rebuilt in more recent times and has a large three light window of trefoiled lights with perpendicular tracery above under a four-centred arch. Above the apex of the transept gable is a sundial. 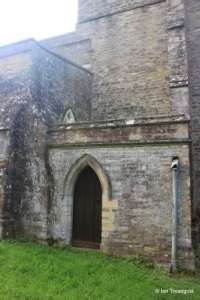 Adjoining the transept is the south porch with a room or parvise above. Originally accessed by external stairs which were removed during renovations in C19 the parvise is lit by a square headed two light window to the south. 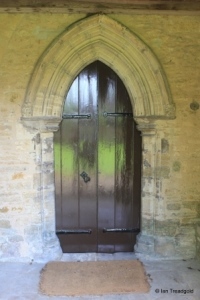 The ornate outer doorway dates from C13 although this is likely to have been moved from elsewhere. 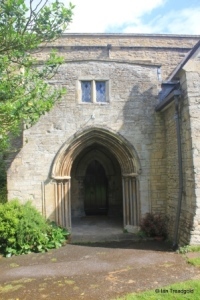 The inner doorway dates from C14 and is quite narrow, in contrast to the outer doorway. 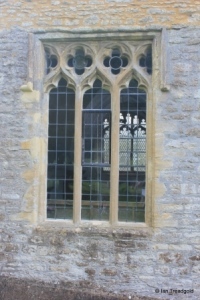 There is one restored window to the south side of the nave being of two trefoiled lights under a two-centred head. 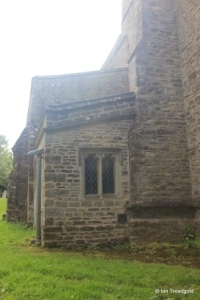 Above are the clerestory windows – two to the south and four to the north of the nave. All restored, each is of two lights under a square head. 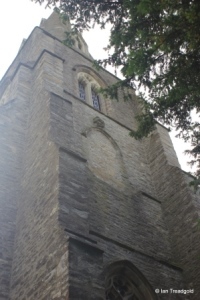 The west tower is of five stages including the octagonal spire. The tower is heavily buttressed, no doubt due to the sloping nature of the site with the stages varying around the tower, four to the south-east, five to the south and north and six stages to the west side of the tower. 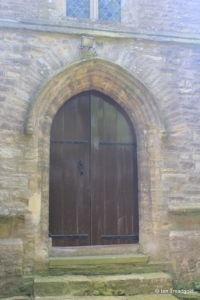 There is a west door which is reached by means of three steps due to the slope of the site. 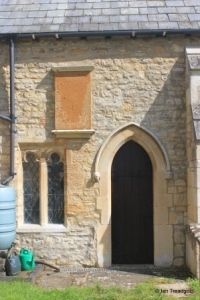 Above is a restored two light window under a two-centred arch with modern tracery. 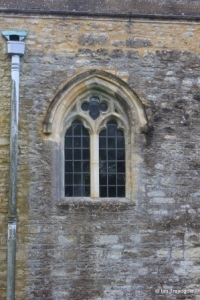 In the fourth stage is a blocked window with a carving of a grotesque figure above the apex. The belfry lights are of two cinquefoiled lights under two-centred arches. 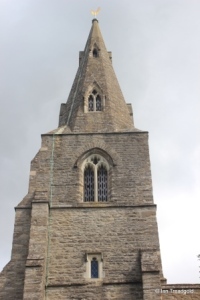 There are two levels of lucarnes in the steeple facing the cardinal points. 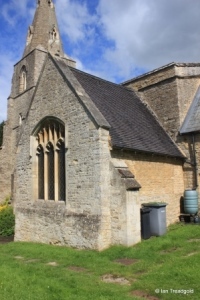 The vestry in the angle between the north aisle and the tower was built in 1848 and leaves a small west window to the aisle above its roof. 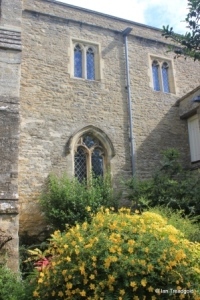 The vestry has a small two-light window to the west. The north aisle runs the length of the chancel and nave including the north chapel and shows the clear drop in the site level. 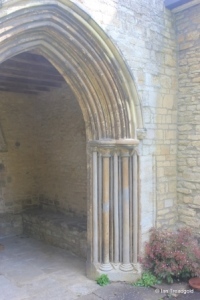 The north aisle has two windows surrounding a blocked doorway and no windows to the north side of the chapel. 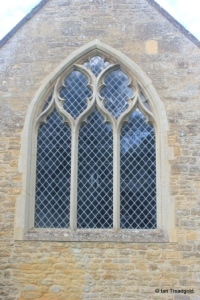 The high western window is of C14 origin, now restored with two trefoiled lights under a two-centred arch with a quatrefoil design in the tracery. 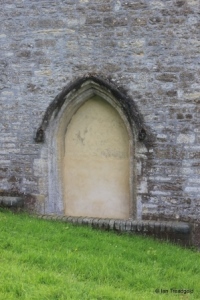 The blocked north doorway has its sill below the current ground level and protected by a small wall. 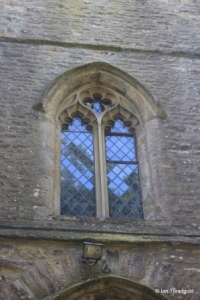 The restored eastern window is of three lights under a square head with quatrefoil designs in the tracery and a small piece of stained glass in one of the designs. 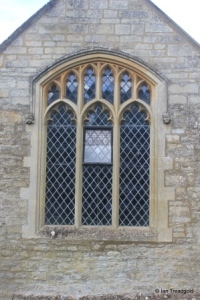 The east end of the church has two windows, one to the north chapel and one to the chancel itself. 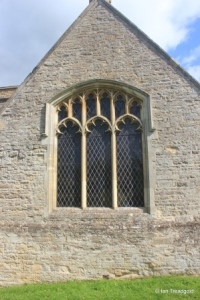 The east window of the chapel is modern in a C15 style with three cinquefoiled lights with perpendicular tracery above under a depressed four-centred arch. The east window itself is also modern with three lights with flowing tracery above under a two-centred arch. 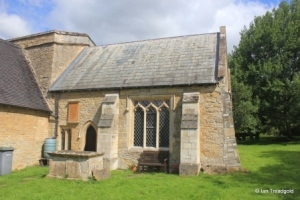 The south side of the chancel has a large modern square headed three light window to the east with a small two light window to the east of the priest’s door.